Robert E. Bartkus - Mediator & Arbitrator based in Florham Park, New Jersey. Please click your preferred available date to submit a request. Your Appointment Form will be sent to Robert's assistant, Carole Basso. Bob has more than 40 years of experience in multiparty business and international arbitration and litigation, primarily in New Jersey and New York. He handles matters at all levels of the state and federal judiciary, and has numerous reported cases. Bar Memberships: New York, New Jersey and California (inactive); US Supreme Court, Second Circuit, Third Circuit, District of N.J., Districts in N.Y. and California. US Navy (1968-1973)(LT). 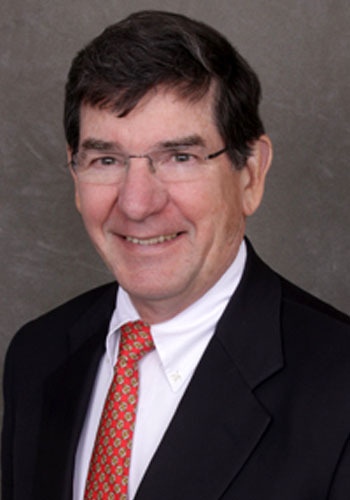 In his alternative dispute resolution practice, Bob has served as sole arbitrator and panel member/chair in a wide range of American Arbitration Association and International Centre for Dispute Resolution matters, most recently including computer/IT, closely held businesses, and insurance/reinsurance disputes. He also has been a sole arbitrator in construction, consumer and securities matters, including at the NASD. He serves as a U.S. District Court arbitrator and mediator, including in Superstorm Sandy cases. Bob was selected in 2012-2015 and 2005-2010 for business litigation, and in 2016-2019 for dispute resolution, on the New Jersey Super Lawyers© list, lawyers who with a high degree of peer recognition and professional achievement. From Martindale-Hubbell, Bob has an AV Preeminent™ rating of 5 out of 5 as determined by peers who have ranked him at the highest level of professional excellence. In addition, he has been listed in Who’s Who in America and Who’s Who in American Law. In 2016, Bob was elected a fellow of the College of Commercial Arbitrators. The college, made up of nationally and internationally recognized arbitrators, promotes high standards of conduct, develops best practices, and provides peer training and professional development in the field of complex arbitration. St. John Baptist Convent (Member, Board of Trustees). Author: numerous articles on arbitration and federal practice issues. Co-editor and author, NJ Federal Civil Procedure (NJLJ Books); Co-author (with Hon. William Dreier), NJ Arbitration Handbook (NJLJ Books).